Welcome to my website. 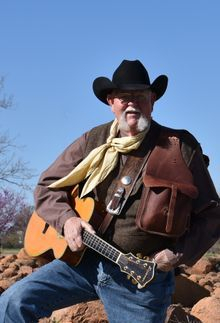 I invite you to browse each page and get acquainted with me and the cowboy and western swing music that I love. I'm available to perform at a variety of public or private venues including "House Concerts." See the "Previous Venues" page for some my venue experiences and more information about hosting a private house concert. Sure hope to meet you somewhere down the trail!